This work, first published in 1913, deals with the causes which led to the imposition of the various taxes which were levied down to and including the first income tax act (1799). Indeed, for an understanding of the system of taxation of the nineteenth century a knowledge of that which preceded it is necessary. 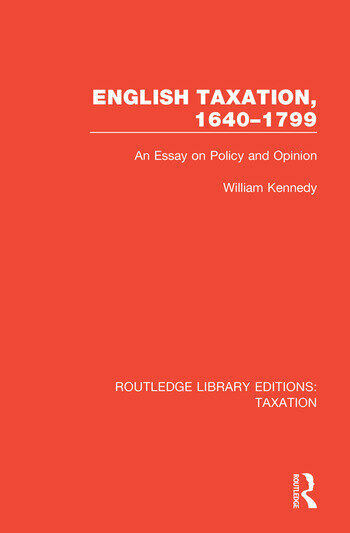 The author begins by an explanation of the Tudor and Stuart finances before the time of the civil war at which point the break-down of the former system, as well as the need for a much larger revenue, resulted in important changes in the method of taxation.